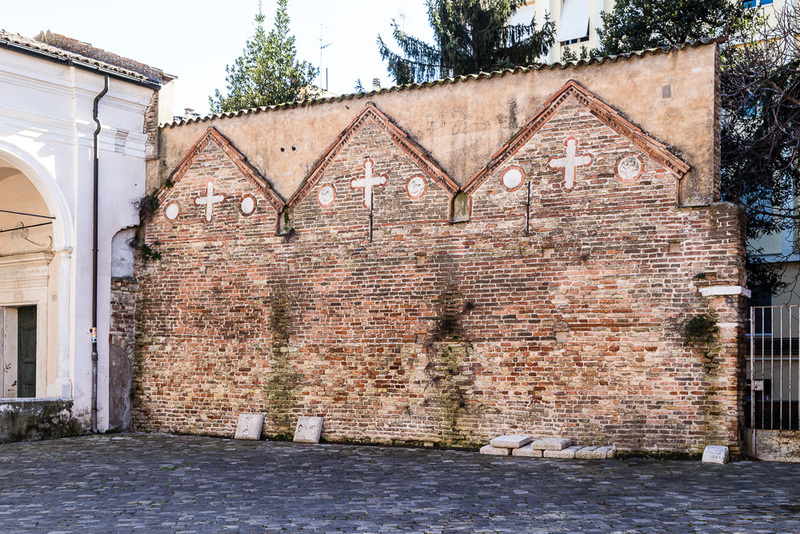 The wall is identified as what remains of the Arian bishopric that was built together with the cathedral (now Basilica dello Spirito Santo (Holy Spirit)) and the Baptistery for the will of the king of the Goths Theodoric (454 – 526) at the beginning of the 6th century as part of the large complex that was destined to the Arian Christian cult. Since the end of the 6th century the building was used in other ways and according to the Ravennate historian Andrea Agnello (9th century), it was the dwelling of the Lombard duke Droctulf. 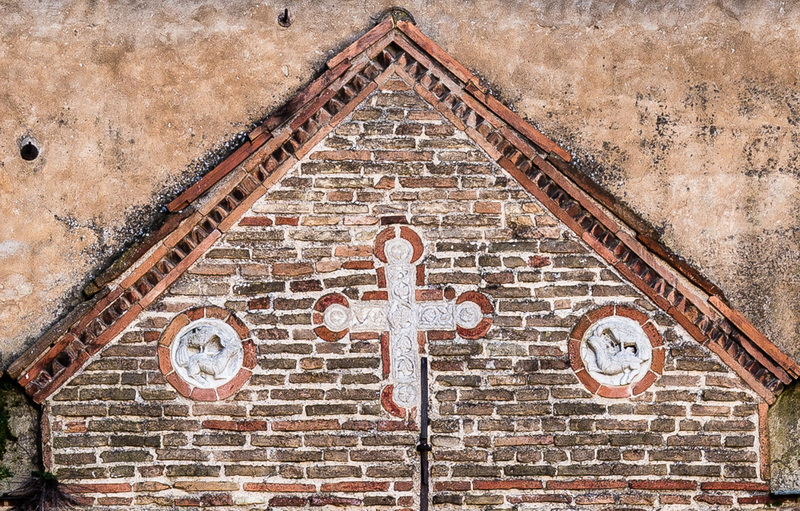 On the top of the wall, the fruit of many interventions, we can find three walled gables decorated with three crosses and three marble panels of Venetian-Byzantine influence dating back between the 10th and 12th centuries.